Just across the bay from Havana sits Regla, a fascinating town with a rich cultural history. 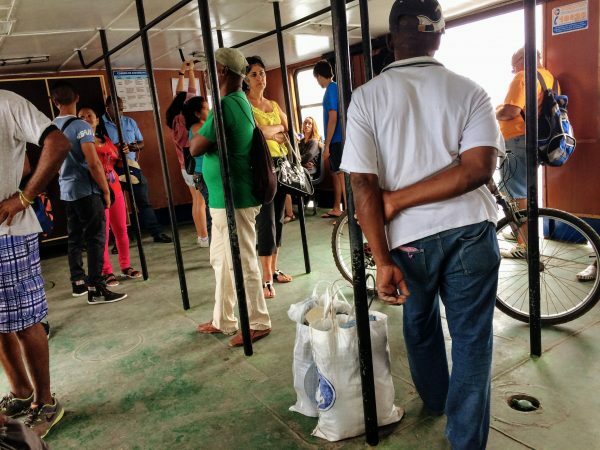 The locals reach it by hopping on a ferry boat that runs back and forth all day long. The Cuban fare is 10 centavos in pesos nacionales, or about a 1/2 cent USD. The first time we crossed we didn’t know the price and payed $1 CUC/USD each, which would have paid for 500 people. I did notice that the man collecting the fair pocketed it instead of putting it in his collection bag… Oh well. We learned our lesson and knew better the second time around. After we crossed the bay, we didn’t see a single tourist all day. People would stop to ask us how we were doing, if we were okay, if they could help us with anything, and so on. A pack of little girls came up to us to stare and one got up the courage to ask us to buy her a peso pizza. We obliged. 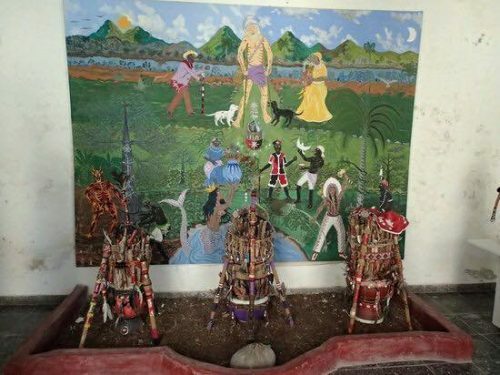 Regla has a fascinating museum of Afro-Cuban religion where Santeria featured prominently and we were fortunate to get an impromptu private tour. 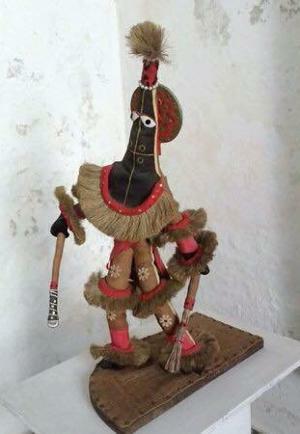 Santeria worships dual-identity orishas, which are both Catholic saints and west-African deities. It is a religion deep with rituals, parties, symbolism, and blood sacrifices. This guy is a little devil who dances in processions on Saint days, according to the woman who gave us our tour. She was a believer and her Orisha was Yemoja. 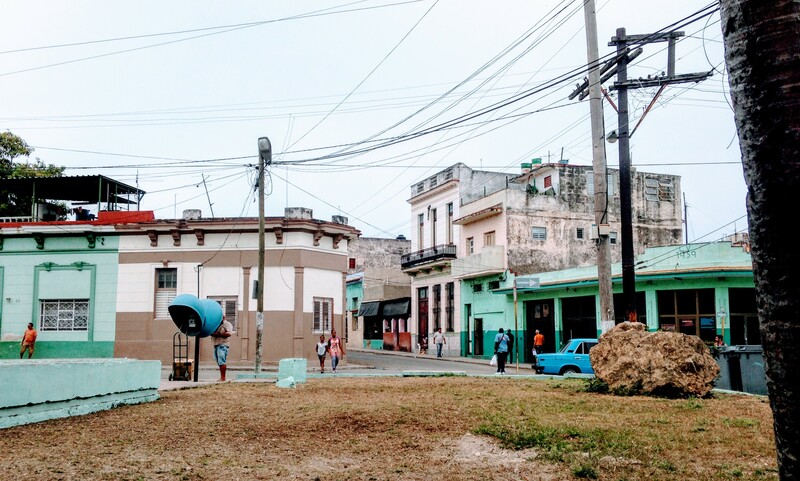 All over Cuba there are people dressed all in white, who had been to see a Babalawo (Father of the Secrets) in the past year. The Babalawo throw snail shells or goat’s bones to tell the future and choose a saint/orisha for a believer to bring into their home and dedicate themselves to. The religion is complex, and varies geographically, and I couldn’t do it justice here. But I do intend to learn more about it! Below are shrines from the Regla Conga or Palo Monte. Not exactly Santeria, this is another West-African religion that was brought to Cuba with slaves. The divination priest in this tradition will tell a believer what they needed to gather to put in their shrine, be it a branch of a certain wood of a certain length (Harry Potter, anyone? ), or, as in the case of these shrines, human bones. I asked where the bones come from. The woman said the cemetery, usually. They try to only dig up believers in the religion who wouldn’t mind… but no guarantees. If your priest tells you to get human bones you have no choice. You best go buy yourself a shovel.